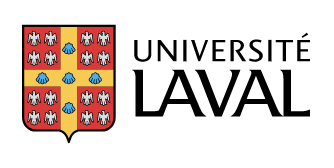 Université Laval has announced new research infrastructure that aims to position Canada as a global leader in green interior wood finishing and densification using innovative practices that will significantly impact the use of next generation interior wood products, decreasing greenhouse gas emissions and increasing the comfort and health of consumers. The new infrastructure takes the form of a Natural Sciences and Engineering Research Council of Canada (NSERC) Industrial Research Chair and a cooperative research and development project (CRD). It will solidify a unique research partnership made up of five leading companies that are visionary and oriented toward research and development: Canlak, Boa-Franc, Inortech Chimie, Portes Lambton, and Canadel. The partnership will include the entire value chain for finishing interior wood products. Wood research at Laval. Photo via Universite Laval. At the launch of the Chair, the partners said they were pleased with the new research infrastructure that will contribute to technology development and innovation, two keys to growing their companies and the Canadian economy. 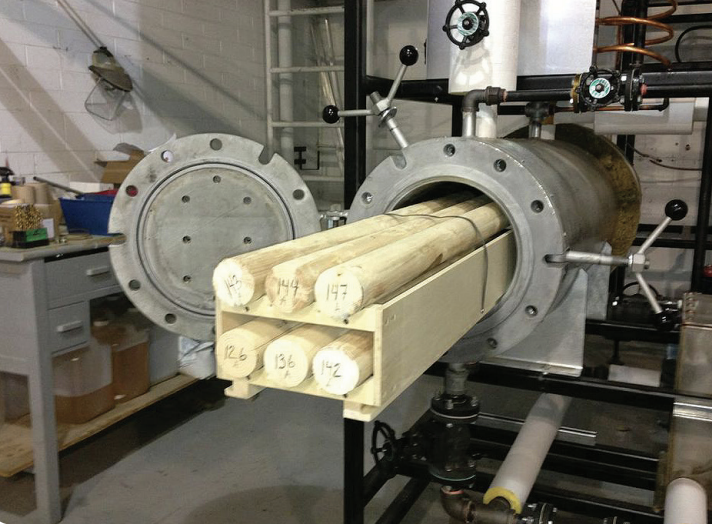 The NSERC-Canlak Industrial Research Chair in Interior Wood Product Finishing and the CRD project were made possible thanks to a five-year, $3.7-million investment by NSERC, $2.2 million of which was contributed by industrial partners. Université de Haute-Alsace, Bern University of Applied Science, and Université de Lille will collaborate on the research. The most recent efforts to reduce greenhouse gases suggest increased reliance on wood because it is the only renewable construction material and has the smallest environmental impact. “More widespread use of products that look like wood is an opportunity to increase the amount of wood in buildings, which will help reduce greenhouse gas emissions,” said Véronic Landry, holder of the new Chair and professor in the Wood and Forest Sciences Department. The research program is divided into three parts: densifying, decorating, and protecting. The first part deals with the densification of wood, while the other two are concerned with surface coatings. To ensure the results address industrial needs, the Chair will use a “value chain” approach that reflects the industrial partnership. The research will focus on polymer chemical densification systems, chemical densification processes, chemical colouring, strategies for improving finished wood, and mechanical performance and fire resistance of surface coverings. The Chair is the result of close collaboration between the Faculty of Forestry, Geography, and Geomatics (FFGG) and the Faculty of Sciences and Engineering (FSE) at Laval. At the confluence of materials chemistry and wood science, the Chair will help Université Laval train highly qualified specialists in the finishing and densification of interior wood products. “There was a need, because there is no university program in Canada that provides solid training in this rapidly emerging area that is crying out for specialized labour,” said FFGG dean Guy Mercier.